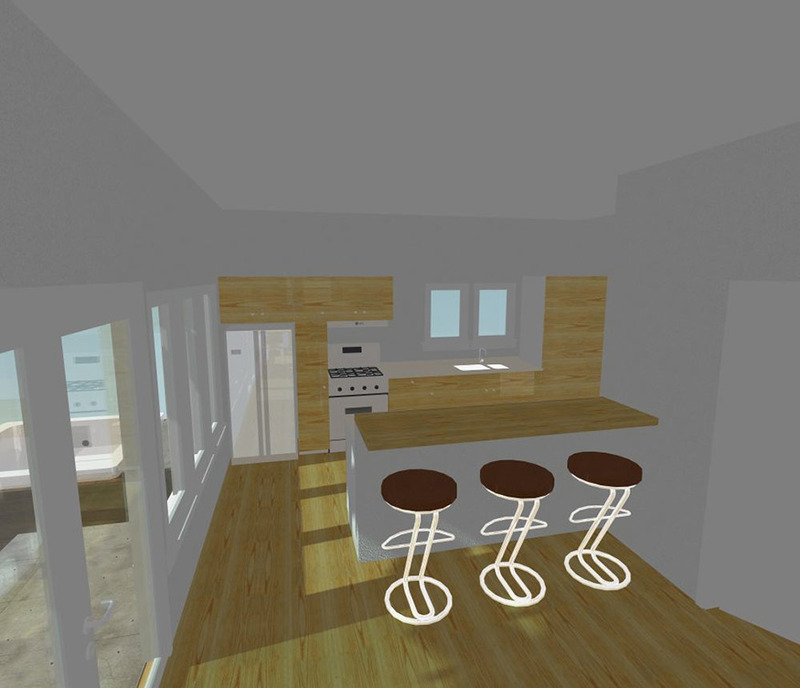 The kitchen is being reconfigured to a spacious open plan design with a eating bar. Generous south facing windows provide solar heat and make the kitchen a bright place. A fabric sun shade prevents overheating in summer. A pair of French doors opens out onto the deck.